When it comes to picking the perfect dress for a wedding, there’s a lot that goes into it -- finding the most flattering fit, loving the feel of the fabric on your skin, and getting that flush of confidence anytime you see yourself in a mirror (#allofus). 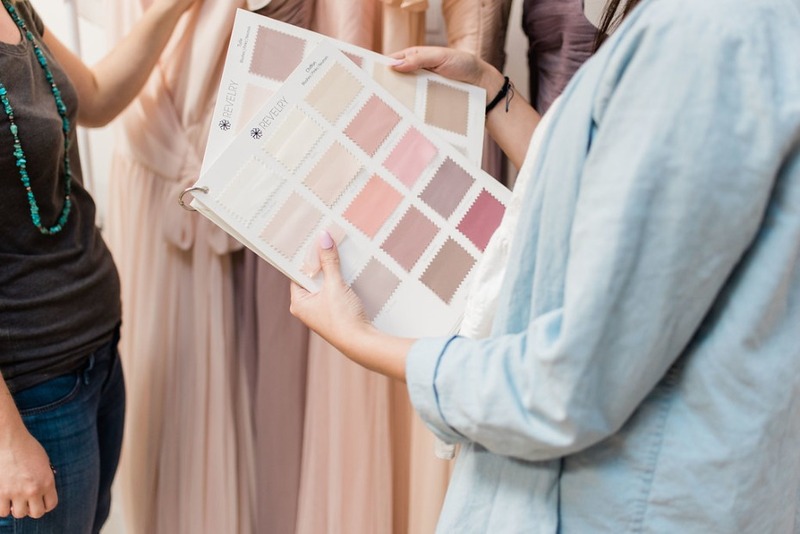 Whether you’re a bride, a bridesmaid, or a guest looking to impress, there’s a lot of thought that goes into picking a look that 1) slays on its own and 2) honors your individual style. That’s why Michelle DeLoach, founder of Revelry, sponsored this post: to give you a closer look at what makes her line, her company, and her vision so beautiful -- inside and out! There’s A LOT to love about this woman-run company headquartered in Austin, Texas. “Revelry,” meaning lively and happy festivities, was the foundation of everything Michelle wanted to accomplish with her rapidly-growing brand. After starting the company in college, selling recruitment apparel to sororities across the nation (and grossing over $500k in sales through a Google Doc while she was at it), Michelle quickly realized that creating apparel for special events was truly her calling. Then, as usually happens after graduating college, all of her friends were finding the loves of their lives and Michelle was standing by their sides on their wedding days. The only problem? After shelling out her rent money to cover bridesmaid dresses that she didn’t even want to wear once, let alone ever again, it occurred to her: the next chapter for Revelry was outfitting her BFFs as they supported each other on the biggest days of their lives. 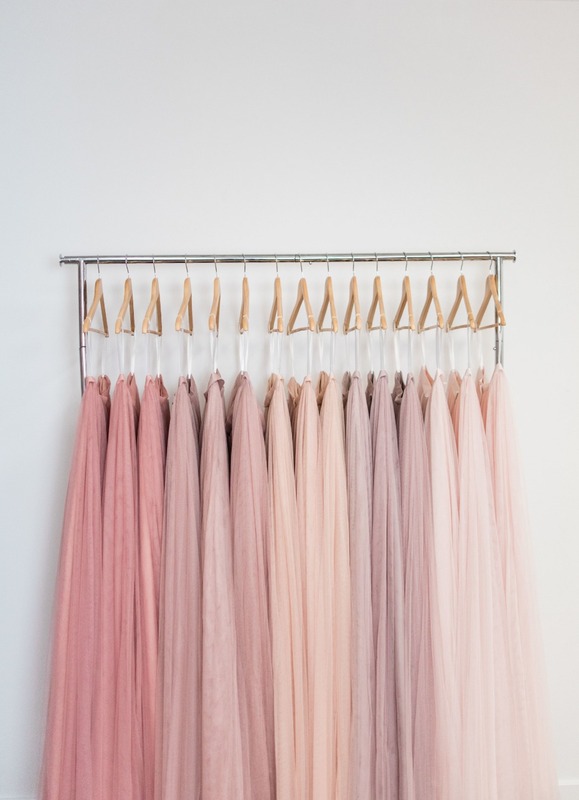 Bridesmaid dresses and separates quickly became her new obsession and passion project! But it wasn’t just gorgeous dresses that Michelle wanted to create. She wanted to spread the joy, happiness, and beauty of the journey friends take together as they move forward in life 🙌🙌🙌 - friends that adult together, stay together, right? Anyway, that’s why she created the Sample Box. 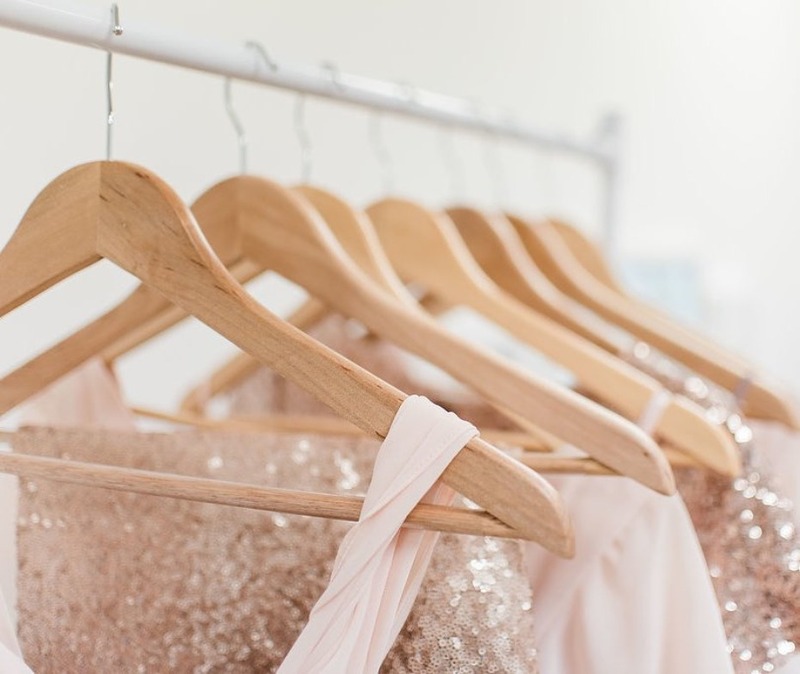 Never a fan of having to go into stuffy, pressuresome boutiques to try on ill-fitting dresses (that are NEVER in your size, btw), she wanted to make the bridesmaid dress process a way to bring women together and celebrate the bonds they share. So, with a vision of laughter, gal pals, and plenty of bottles poppin’, the Try-On Party was born! Whether it’s with your maids or just a friend or two, Revelry gives you the chance to order sample dresses (for just $10 a gown) to try on in the comfort of your home! The best part? In addition to picking from a wide variety of styles, you can actually try on your size (or order a few different sizes) so that you can find your absolute perfect fit. Instead of creating one look for one kind of girl, Michelle’s Revelry was dreamt to be different from the start. She wanted everybody, every body-type, and everyone’s personal styles to not only be showcased, but embraced and celebrated in this all-inclusive line. With four different fabrics, from luscious lace, sparkling sequins, and the softest chiffon, to the most ethereal, flowing and whimsical tulle, as well as 100+ color options and trendy separates, virtually every style is represented. Plus, since the brand is totally e-comm and selling straight to brides and their babes, Michelle can cut the costs of their designer-quality gowns by over 50 percent. Bridesbabes on a budget, they gotchuuuu. Michelle knew that the secret to making everyone feel beautiful was to remind them that with every stitch, they’re perfect just the way they are! And with that perspective top of mind, Revelry became part of the #everygirl game - championing a line that had varied styles, mix-and-match modality, and truly included everyone. From its start, Revelry not only offered sizes 0-32, but four different length options (cocktail, petite maxi, regular maxi, and tall maxi), as well. Oh, and they don’t charge you for the hem heights, either. Like, ever. Now, it isn’t just the founder’s creative visions, ever-evolving line, game-changing sample box, or all-inclusive styles that make Revelry so unique. In addition to being a total boss babe herself, Michelle has made it her mission to fill her company with strong, like-minded women who [like her] are dedicated to chasing their dreams, growing personally and professionally, and enjoying all of the beautiful moments that bring family, friends, and friends-turned-family together. 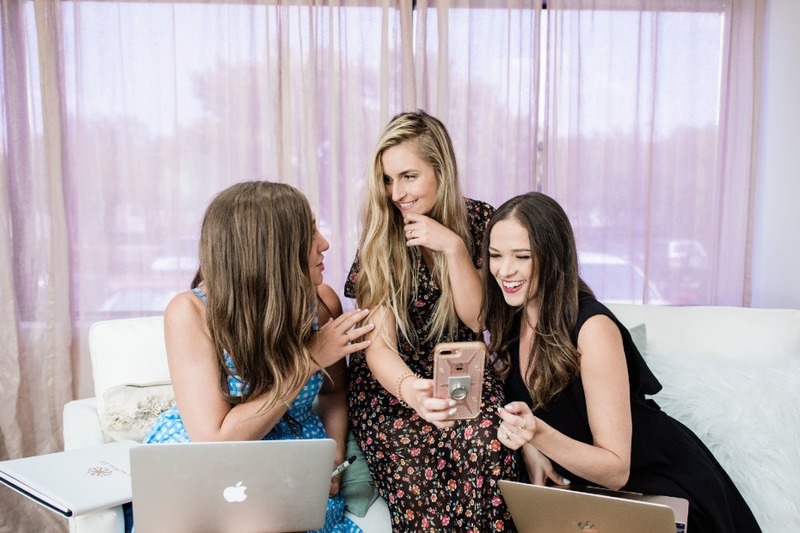 With a collaborative environment, Instagram-worthy workspace, and people who not only love weddings, but are in the season of their lives where weekend trips to see friends say “I do” is the norm, the women at Revelry want to make sure that the wedding industry not only includes everyone, but makes them feel their most beautiful on the most special of days. As her line, company, and family keeps growing, this is just the beginning for Michelle and Revelry! With her penchant for trendy products, thirst for modernizing the wedding industry, and boundless desire to make everyone feel their best, there’s plenty in store for this innovative CEO and her transformative online boutique 🚀. Peep the entire collection👇 and make sure to follow Revelry on IG for exciting updates and so much bridesmaid dress (and separates) beauty! We partnered with Revelry to share some BTS ✨✨✨on the brains behind the brand. As always, thank you for supporting our sponsors!